Another week means another update to Fortnite. In a recent dev update, Epic revealed changes to both their Battle Royale and Save the World modes. Secure your Victory Royale with our Fortnite Battle Royale tips and tricks. The most disappointing news to stem from the video is the continued delay of the new Jetpack item. Design lead Eric Williamson says that Epic discovered some issues with the item in internal playtesting, and have decided to delay its release until those are all sorted out. Williamson does slightly sweeten the pot though, as he says new things are on their way in the meantime. V3.3 also introduces llamas to Battle Royale. 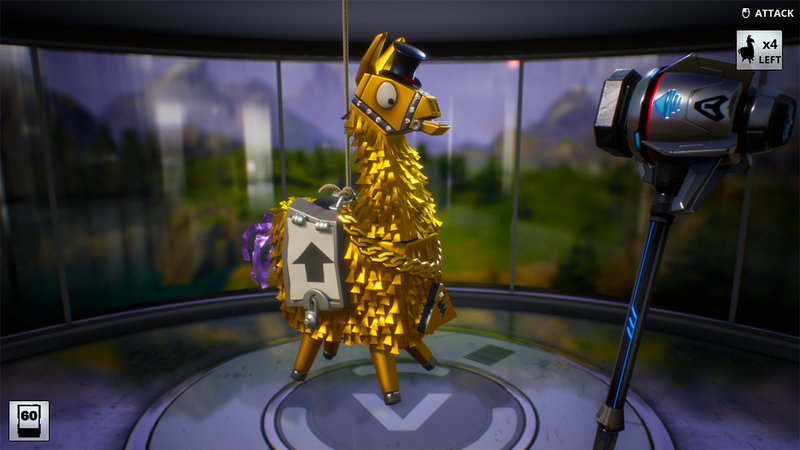 The critters are currently available as lootboxes in Save the World, and an enormous statue can be found near Junk Junction in Battle Royale, but the latest update will properly introduce them to the mode. They’ll work a lot like Treasure chests, offering potentially significant rewards. V3.3 will also, however, remove content from the game. Just like the SMG, smoke grenades will be removed from the game for the forseeable future. Williamson says that the reason for the decision was that internal feedback showed the item simply wasn’t being used enough, and that the team will look to rework them before eventually adding them back in.